Creating any print project that’s noteworthy must first, well, be noted. 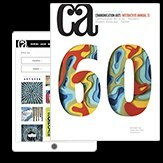 Flipping through design annuals, you’ll find that what first grabs the reader’s attention is a compelling visual. 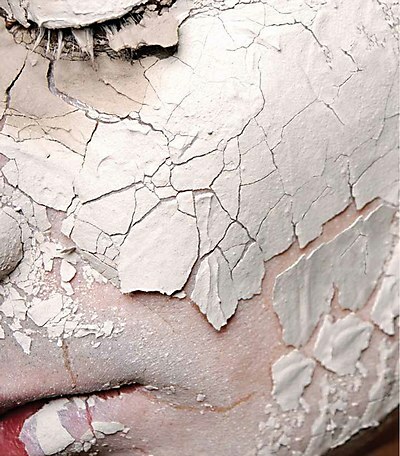 But stopping at the image is short-sighted in today’s interactive, sensory climate. What makes today’s truly arresting print materials pop? Taking the time to think of the viewer experience that goes beyond the page. Interactivity meets neuroscience when you add a multi-sensory element to the printed page. Start by using a non-traditional paper. 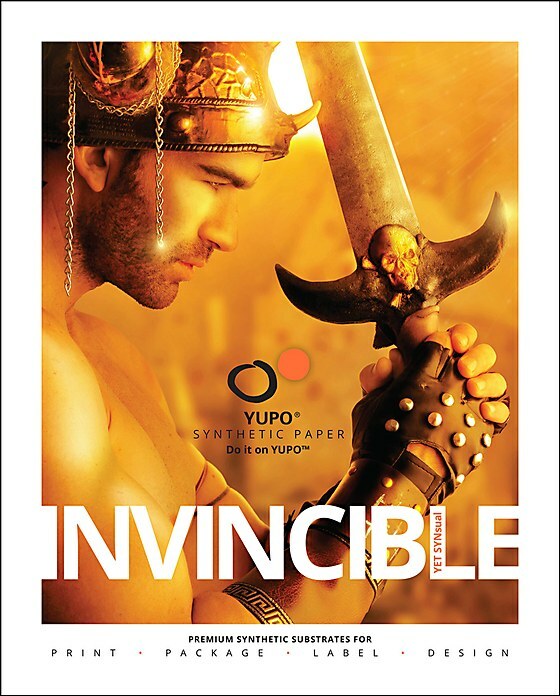 Think of paper that’s not paper, like 100% tree-free, waterproof YUPO Synthetic Paper. YUPO is tear resistant and made of recyclable polypropylene, so once extruded, YUPO’s biaxial surface is inherently smooth and bright white, giving designers a canvas on which to go crazy with bold images, inks and applications that lead the audience into new territories. 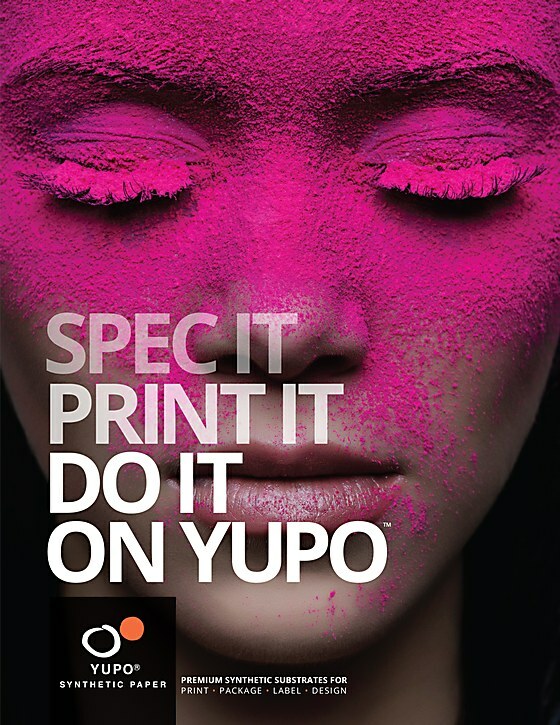 Thinking beyond YUPO’s smooth surface, there are a plethora of print applications that add texture, play and light to your ink and image choices. 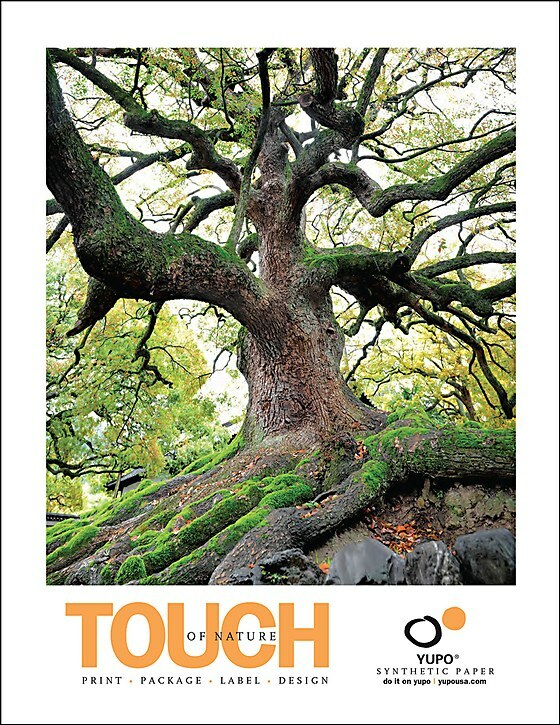 Add a woodgrain feel with a textured varnish overlaying a lavish tree image and you’ve expanded the interactivity of a printed piece with the sense of touch. Metallic inks and overlays add a sense of luxury and play and add another dimension beyond the 4-color process on paper. Reach three or more senses. Increase recall. No longer is print a completely static 2-D medium. Print applications give designers a multitude of media to jump off the page and into the sensory mind of the reader. Touch is our connection to the world. 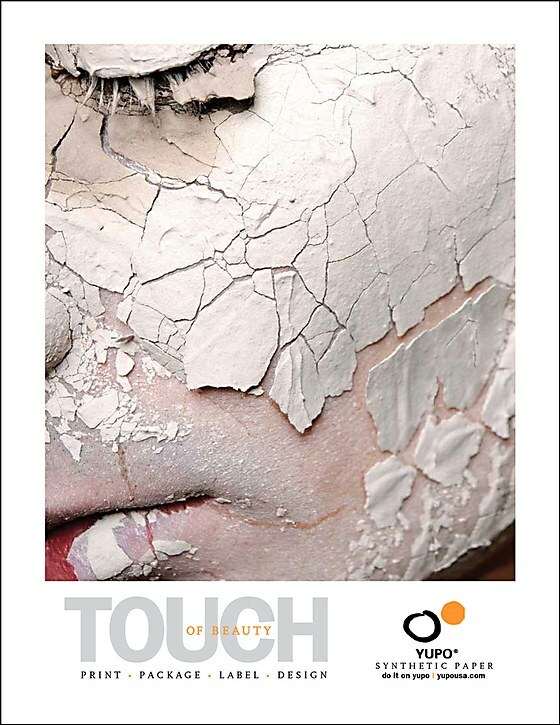 Touch and feel add luxury and texture to how we experience our environment. Print processes like embossing, foil stamping, spot coatings and textured glosses and finishes can add that sensory “reach-out” to readers, increasing the effectiveness of your piece. An image of a sandy beach layered with a textured grain coating take the viewer to the coastline, evoking the feel and experience of having the sand on your fingertips and between your toes. Smell that? Taking a look at the image here, we see a bold raspberry-kissed facial image staring directly into the camera. We’ve got sight—the direct connection with the reader, enlarged pupils and all. Add to that the raspberry color in a matte finish to keep the finish chalky and light. Then add a raspberry-scented ink to the page and we’ve reached the viewer in three distinct ways, for an experience that garners brand recognition. Paper as the Medium. Paper in the Medium. Traditional print has often limited designers to keeping their design on the page. Creating a more interactive experience can be as simple as changing your medium. With synthetic, tree-free papers like YUPO, designers have a unique opportunity to showcase a printed look in unusual environments. With waterproof attributes, YUPO is right at home in liquid spaces, so thinking about the viewer’s experience with traditional paper, the potential for engagement is limited. Why not expand the design and experience by immersing YUPO in water? Other Dimensions—AR/VR. Off the page. More and more we’re finding designers incorporating a sensory-rich experience that goes way off the grid, via augmented and virtual reality. While still a costly addition to an overall design budget, it’s important for CDs and ADs to not limit their creativity and look for new ways to reach the audience on a multi-dimensional level. The continued emergence of AR/VR apps and platforms will likely give designers new affordable opportunities to expand brand and consumer experiences. Bill Hewitt is the marketing manager at Yupo Corporation, where he’s enjoyed his career for the last 15 years! His extraordinary people skills combined with his industry knowledge and high level contacts is a powerful combination! When Bill doesn’t have YUPO on his mind, you can find him enjoying the outdoors creating beautiful landscapes. Bill Hewitt says don’t forget to give your audience “all the feels” when you make your project a multi-sensory engagement. 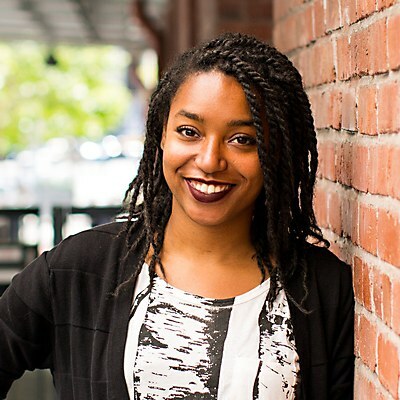 Jessica Bellamy weaves data into visual stories that challenge selective perception. Scott Kirkwood discovers why mentoring is a win-win for both mentor and mentee.